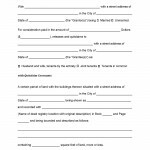 Delaware Deed Forms are legal documents that will transfer real property from a Grantor (seller) to a Grantee(buyer). There are different deeds that will meet different needs for both the seller and the buyer. 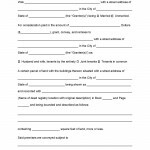 There is a deed that offers no warranty to the person(s) to whom the property will be transferred/ There are limited deed warranties and there are warranties that are absolute promise that there will be no issues with the deed to the property being sold. Something that the parties should be aware of, is the fact that the state of Delaware uses what is called a “race” recording act (§ 156). 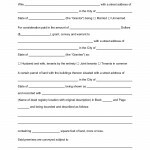 This act dictates that a deed’s priority should be based on the actual date and time in which the deed is recorded and filed or recorded. 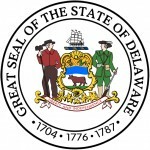 In Delaware should the same property, for whatever reason, is deeded to someone else, the person(s) who first record the deed in the proper offices, will become the owners of the property. Therefore, recording the deed as immediately as possible after the signing and closing on the property is the best way to ensure that property in Delaware is properly transferred to the correct buyer(s). Any failure to meet the requirements of the recorder’s margins for the document may well cause assessment with a non-complaint fee or could simply be immediately rejected and shall not be recorded until the document’s errors are properly corrected.